The Pegasus is the evolution of Aspire's much loved box mods. 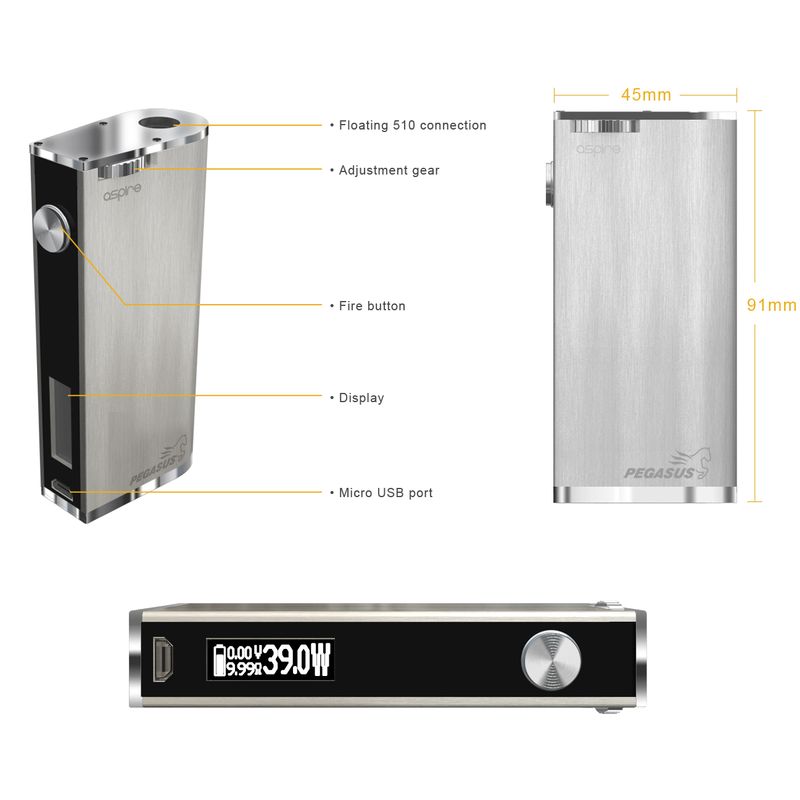 In normal vape mode, the Pegasus delivers up to 70W of raw power, all coming from a slim and very ergonomic body that houses one replaceable 18650 battery. 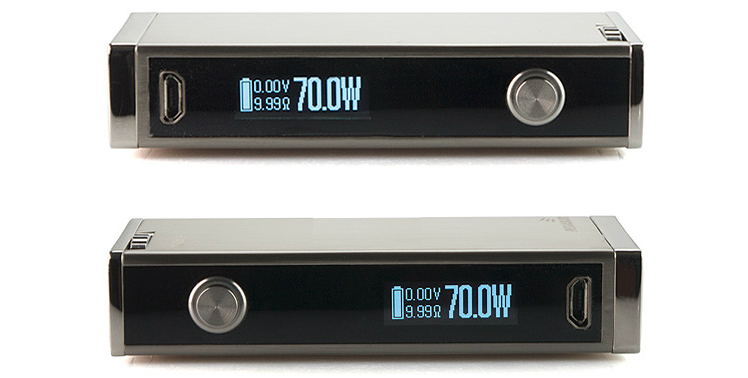 In temperature control mode, the Pegasus delivers 50W of power that makes vaping all the more enjoyable. 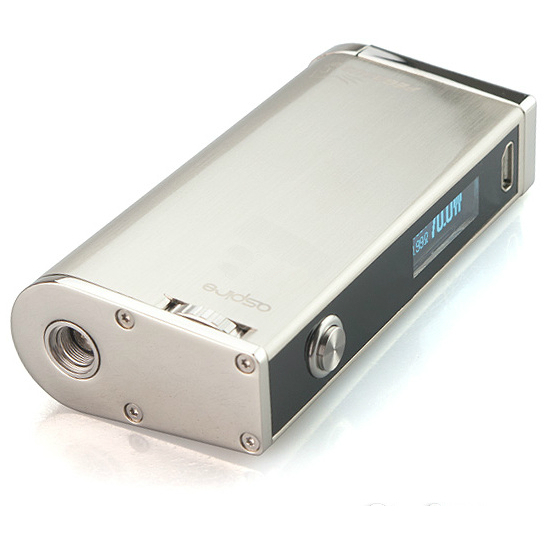 The Pegasus is built to fire between 0.2Ω to 5Ω in normal mode and at 0.1Ω in TC mode. Being a very versatile device, it accommodates all known sub ohm tanks on the market. Increasing/Decreasing power is done through the horizontal disc above the firing button - a very convenient one-handed system. a very convenient system. The crystal clear LED display screen shows information that includes output wattage and voltage, atomizer resistance and battery power. Volts and watts are shown down to two decimal points. 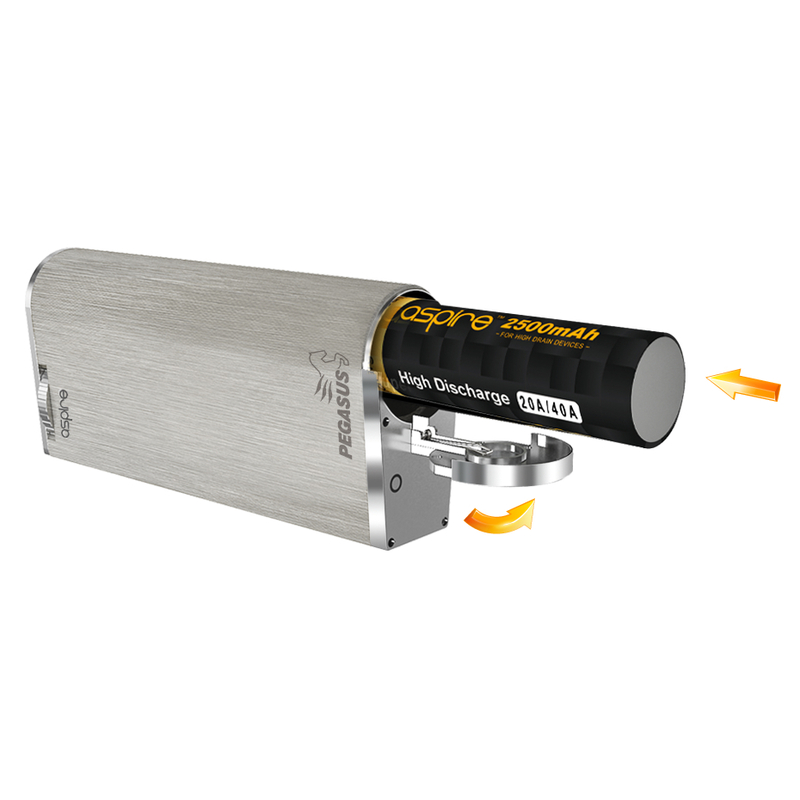 The battery compartment and latch door lets you change batteries quickly with no hassle whatsoever. Add to that a floating 510 pin and you get one of the most well-rounded temp control mods around. → Please click here to see our range of atomizers/clearomizers.